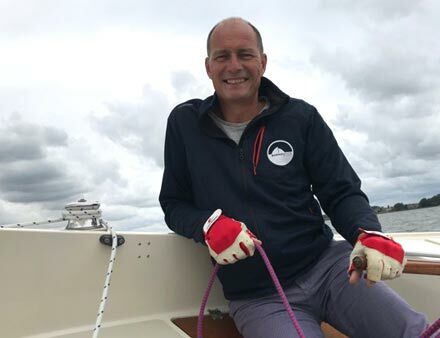 These are my central values on which I build my Dutch brokerage company since 2006 and they are the base of my long-term solid relationships as certified yacht broker with my clients and partners. I often say “You cannot have a conversation with a boat”. I love the conversations with my clients about the boat of their dreams, their boating aspirations and their expectations of “the boat”. These conservations reveal what my clients actually looking for and what is most important to them. These conversations are crucial to me. They enable me to give the best advice on buying a boat and to match the purchase to all your wishes. In the first informal meeting I use a criteria model to map your ideas and wishes. Based on this model and our conversations we begin the search together. I was hooked directly after my first sailing lesson. As a ten-year-old I attended my first sailing lessons at Krekt oer’t wetter sailing school in Uitwellingerga. Ever since I have been sailing a lot with my parents and friends. Aged fifteen I bought my first surfing board, a Ten Cate Windsurfer also known as “the door”. I found the more direct contact with the water and the higher speeds appealing. After a semi-sinker by Tiga (even more speed and more manoeuvrability) I returned to sailing boats by my mid-twenties. After meeting my wive and having here “on board” we also introduced the sport to our kids. In 2000 I bought our first 27-foot cabin sailing boat at Wehmeyer yacht broker in Naarden. Meeting Piet Hein I discovered that being a yacht broker is a profession. The combination of helping people and finding the boat that is right for them was very appealing to me. With the Antares, a Varne 27 built on the English East coast, we, my wife Marjolein and our two sons Thijs and Floris cruised the Dutch lakes and waterways for a number of summers. When I sold the Antares after a few years I was convinced: helping people find a boat that suits them was what I was going to do! 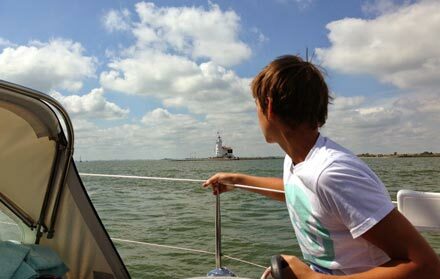 After qualifying as Dutch yacht broker I started my own yacht brokerage, Barnautica Yachting, in April 2006. This decision had an adverse effect on the time I got to spend on the water with my family. I got to spend plenty of time on boats with clients and their (prospective) boats, sometimes even entire weekends. My family and I only sailed during summer vacations. The boys learned to sail in an Optimist and a Polyvalk. We often hired motor boats and sailing yachts abroad. Three years ago I bought a 4.70 metre RIB by Ribcraft. It was ideal for waterskiing and wake boarding with my sons and sporty trips on the IJsselmeer as well as the Dutch coastal-waters. The advantage of the RIB on a trailer is that it is easy to launch and there for quickly to use. 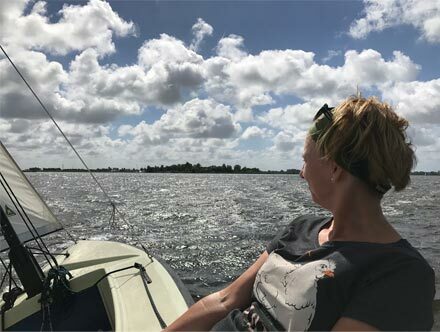 Driven by the desire to spend more time sailing together with my wive Marjolein I bought a H-boat in the spring of 2018. This boat can also be transported by trailer and can thus accompany us to the Baltic or lake districts in North and South Germany. 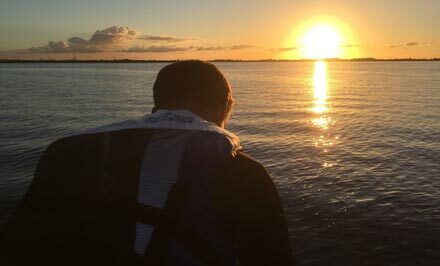 I am, moreover, convinced that a so-called day-sailer like the H-boat perfectly fulfils the needs of today’s water sportsman with only little free time to spend: if you make it onto the water at all, then you want to do some real sailing. I hope to collect lots of good memories with my family and friends on our “HAPPY H”. For more questions or a nonbinding intake conversation, I am happy to make an appointment at your place, your boat or some other nautical location. Make a nonbinding appointment now..